South Africans have been following the State Capture Commission with interest, finding out bit by bit how former criminal-in-chief Jacob Zuma worked with the Guptas to loot our country. Last month, we found out about how Finance Minister Nhlanhla Nene had to fight Jacob Zuma in order to stave off what would have been a crippling nuclear deal. Then, DA leader Mmusi Maimane went after President Ramaphosa with accusations of complicity in Zuma’s shady dealings. Now Pravin Gordhan has revealed all in a 68-page sworn statement, signed on October 11 and delivered to the judicial commission of inquiry into state capture, reports News24. 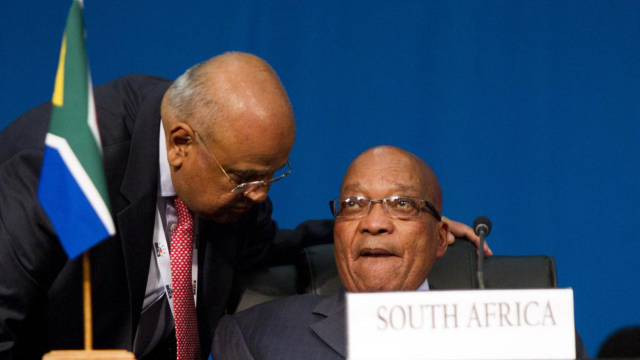 Pravin Gordhan only officially met the Guptas once, and that was at a meeting requested by then-president Jacob Zuma somewhere between 2009 and 2014, Zuma’s first term. But Gordhan refused a meeting with them later on. Sometime between 2009 and 2014, Jacob Zuma requested a meeting with Gordhan and the Guptas at the presidential guest house in Pretoria where Zuma introduced Ajay Gupta as his “friend”. Zuma told Gordhan, then finance minister, that Gupta had expertise in small business and finance. “I recall us exchanging generalities for a couple of minutes, but I do not recall the details of what was a very cursory exchange. Mr Gupta then excused himself and left me and the former president to continue our meeting,” Gordhan says. According to News24, Gordhan’s statement paints Zuma as an ever-present actor in the decade-long state capture project. He intervened indirectly and directly in a number of deals and projects, including those pertaining to the acquisition of nuclear power, PetroSA’s aborted agreement to purchase a share of Engen, and the establishment of Denel Asia, a Gupta proxy company. Gordhan attended a cricket match during his first term as finance minister, where he ran into one of the Gupta brothers in the presidential suite. “We greeted but did not speak to each other,” his statement reads. Other incidental meetings occurred at government functions after events like the State of the Nation address by Zuma. “I recall one or more of the Gupta brothers would be present at such events. I would see them, but not interact with them,” he says. This tallies with testimony by among others Nene, who told the commission that the Guptas were regularly invited to government events, especially during Zuma’s first term. Zuma also did a lot of favours for his friends – and not just the Guptas. 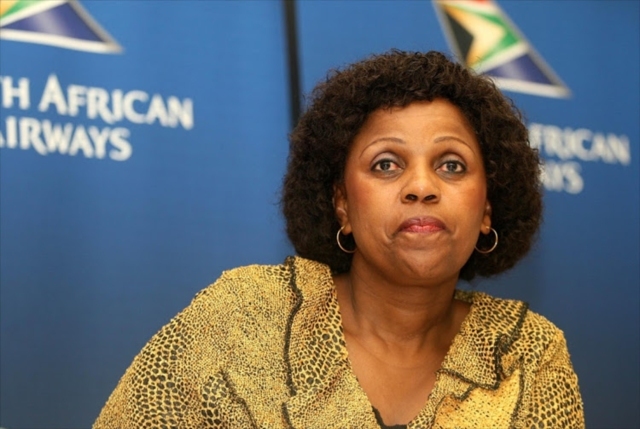 “In late December 2015, while driving on the N2 highway in Cape Town, I received a telephone call from former president Zuma enquiring whether we could do what [SAA’s former chairperson Dudu] Myeni wanted with respect to the Airbus deal. 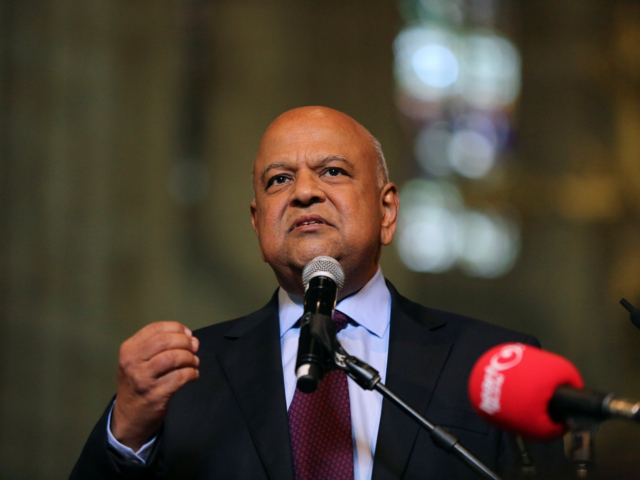 I explained that we could not…It was clear to me that Ms Myeni contacted the former president and that had prompted his call to me,” Gordhan recalls. Zuma was eager for the enormously expensive deal with aeroplane manufacturer Airbus to go through, because his close friend Dudu Myeni wanted it and stood to benefit from it. In his statement, Gordhan also recalls a meeting with a wealthy Indian businessman in 2010, who showed interest in acquiring a stake in MTN. The meeting was arranged after Tony Gupta allegedly badgered Dondo Mogajane, then Gordhan’s chief of staff to accede to the meeting. Gordhan agreed because the Indian businessman was considered a possible major investor in the country. Gordhan doesn’t recall exact details of the meeting because it did not lead to any actual investment, but says that according to Mogajane, now director general at National Treasury, Ajay Gupta did attend the meeting. Gordhan will speak about these and other details when he gives verbal testimony in front of the State Capture Commission next week.